With age comes a number of changes to our bodies. Among them is the thinning of hair. Particularly when it pertains to eyebrows, many feel somewhat self-conscious about their appearance. In some instances, eyebrows may disappear all together. Enter: microblading. The benefits of microblading are tremendous. Simply ask anyone who’s experienced this procedure, and beyond the ease of it, they will assuredly tell you that the results are stunning! At both Inspire Day Spa and New Serenity Spa we specialize in staying up to date on the latest beauty trends and techniques. We want to offer our Phoenix and Scottsdale az clients the best of the best when it comes to eyebrows. As this is a fairly new treatment option for eyebrows, we thought we’d provide feedback as to what some clients are saying. As you can see, microblading is most definitely here to stay. So What are People Saying About the Real Benefits of Microblading? 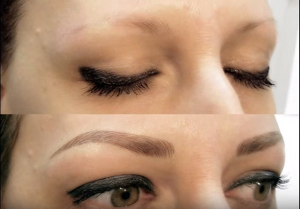 “Inspire Day Spa was offering a promotion on microblading, so I decided to check it out. I have gone there before—for the amazing stone massage. (A must try if you haven’t!) Anyway, I have always been a bit self-conscious about having such thin eyebrows. So I decided to do something about it. Lo and behold, microblading was a godsend. Truly amazing results and I will definitely be going back!” Julie R. – Scottdale, az. Why Not Give Microblading a Try! We would love to discuss the benefits of microblading with you. Stop into our luxurious retreat-like spa and our estheticians will be more than happy to review all of the details and answer any questions.